In combining a light design, high performance HPPE cut-resistance, and a flexible PU palm coating, the Hantex PU Palm-Coated Handling Gloves HX3-PU promise to boost your handling productivity. 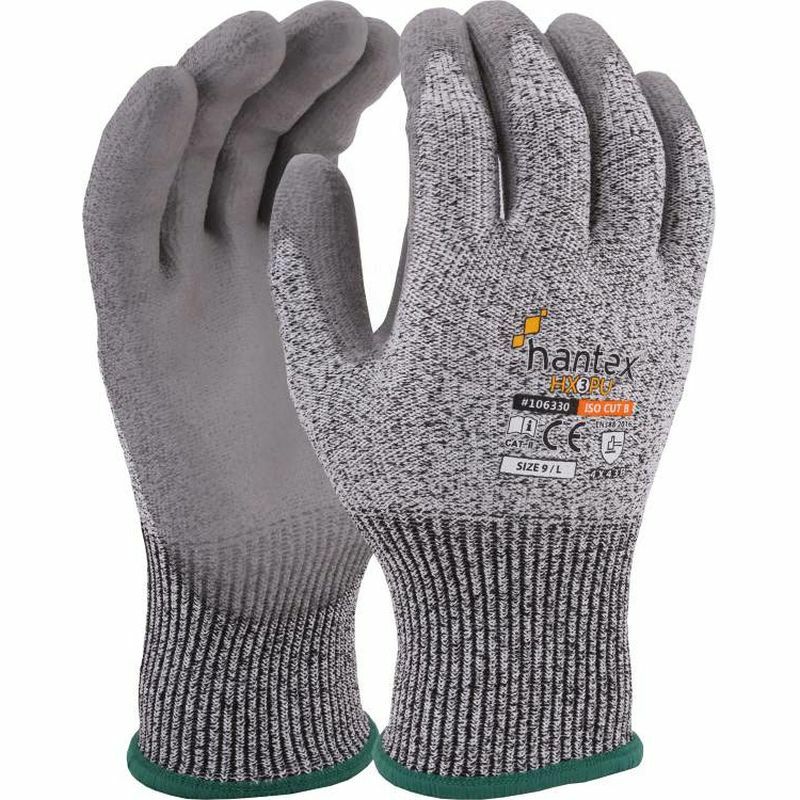 Coming at an economical price, the Hantex Gloves offer the maximum in abrasion and tear resistance meaning that they are durable and aren't deterred by knocks and scrapes. The Hantex PU Palm-Coated Handling Gloves are perfect for dry handling based applications because they utilise high performance HPPE fibres to combine a lightweight design with exceptional flexibility. Their impressive level of grip is provided by a tough polyurethane coating, while level 4 abrasion and tear resistance allows for the handling of rough and coarse materials without damaging your hands or gloves. The Hantex PU Palm-Coated Gloves HX3-PU are extremely economical, promising durability at an affordable price. They offer level 4 abrasion resistance meaning that they can withstand minor knocks and scrapes during use, allowing you to get the most out of your gloves. 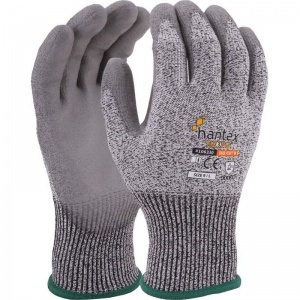 The Hantex Gloves HX3-PU are available in five sizes that should be suitable for most users. To find your perfect pair, please measure the circumference and length of your palm and match the results to the table below.